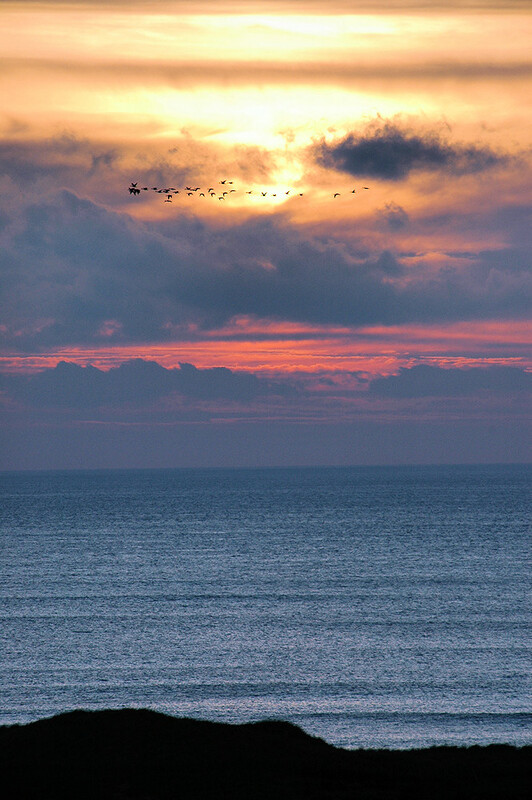 A colourful Islay sunset over Machir Bay in October 2009, seen from the top of the dunes near the Kilchoman military cemetery. A small flock of Barnacle Geese passing by. This entry was posted in Cloudy Weather, Landscape, Repost, Sunset, Wildlife and tagged Barnacle Geese, Islay, Kilchoman, Machir Bay by Armin Grewe. Bookmark the permalink.